This is a four-part series of posts explaining how to install and configure a Linux-based appliance in your vSphere lab environment to take the role as a Windows Domain Controller. Update: Fernando Pimenta has been kind enough to translate this series into Portuguese. You can find the translated copies here. Completing all three previous parts take us to the dashboard which has a great layout. At this stage, if you chose to set this as a standalone domain, you’re done! The domain controller is configured and ready to use. 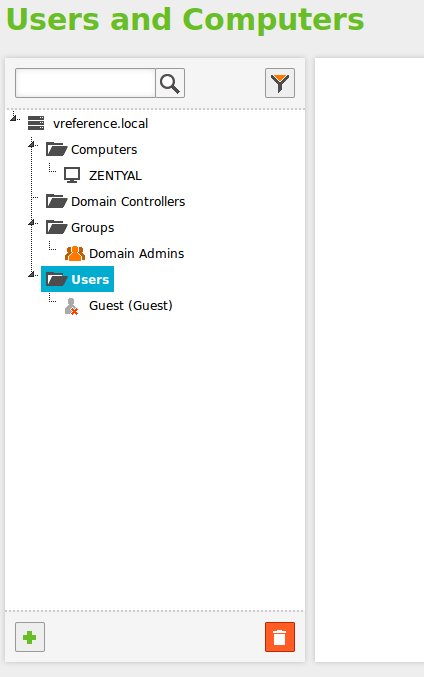 Before we can join any clients to it, we’ll add a regular Domain Admin account (not to be confused with the zentyal admin account created during the install). Under the Users and Computers menu, select Manage. I highlighted the Users OU and clicked the green Plus sign. The admin account you create during the install and the “Administrator” account seems to be hidden reserved account names. 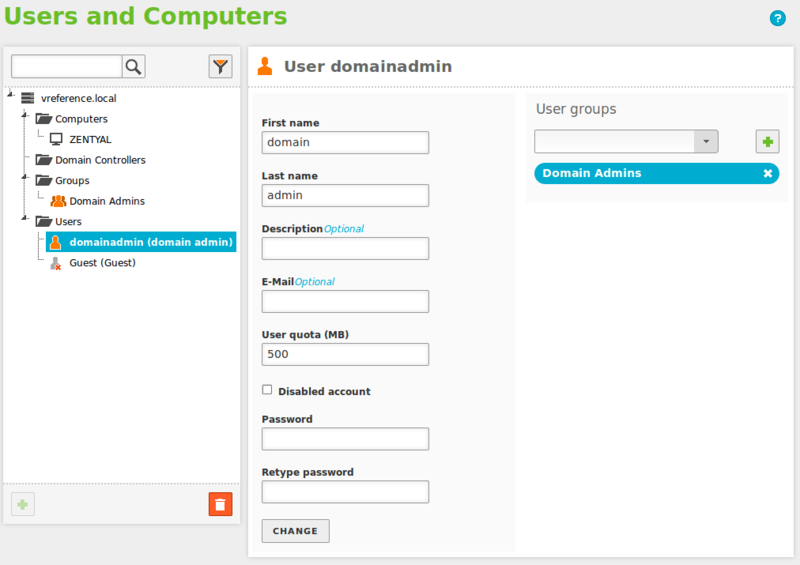 I created a cunningly obfuscated account called domainadmin and added it to the Domain Admins group. At this stage it’s probably worth creating another user account for regular vSphere administration. Something like vi-admin. 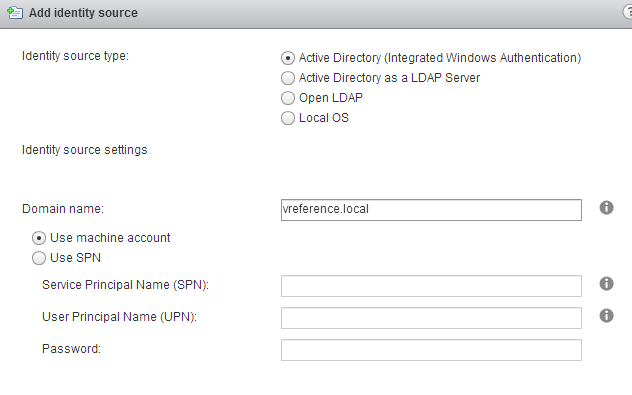 You can use your newly formed Domain Controller with either a Window-based vCenter, or the Linux-based VCSA. I’m guessing for the same reasons you’re looking not to use a Windows Domain Controller, you’re probably the clever type of chap or chapess that would favour VCSA. Suffice it to say that it should work well in either case. On the vCenter Server Appliance admin web interface > vCenter Server > Authentication, and fill in the domain, username and password. Now you can log into the Web Client as the [email protected] user. At this stage, if you’ve created a domain account for vSphere administrative work, you should head to the appropriate level in the vCenter hierarchy and give the account the appropriate permissions. For example, if you created a vi-admin account, you could go to the root object and give the account the Administrator role. 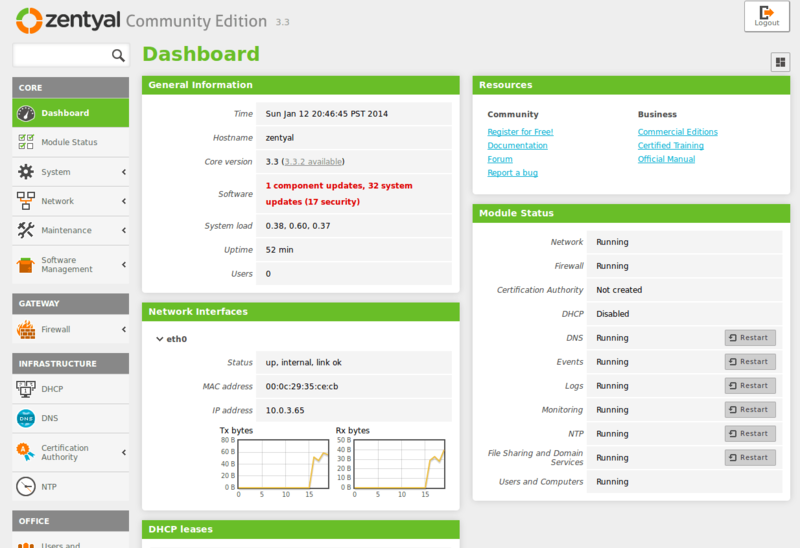 We’re done creating and configuring your Domain Controller and successfully joining vCenter to it. For bonus points, you could now start joining your ESXi hosts to AD. 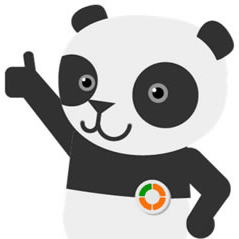 Either way, the panda is super happy. I teach VCP classes in Australia and i am going to be showing this tutorial off to the class. Our current lab environment doesnt have any AD but it soon will do. Thank you so much for taking the time to understand the process and write up such an easy to follow article. Thanks Mark, I hope you find it useful.